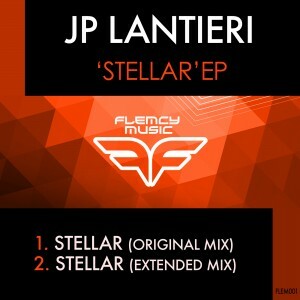 Having recently settled in London from sunny Malaysia, “Stellar” is JP Lantieri’s first release of his new London based label Flemcy Music. Having created a haunting of sound, JP Lantieri’s new EP, “Stellar”, contains two versions: an original mix which is both short and long enough to be played in active DJ sets, and an extended mix where the listener can loose himself in the waves of this banger which has garnered excellent reactions on radios as well as on the dance floor. Miguel Puente – Nice work, thanks! Robert DB (DB Records) – Great EP! Support! Blue Tone Boy – This track takes you off planet, a WOW production ! Ornery – Atmospheric and energetic at the same time. Excellent! Rico (Radio Axe Sud) – Very Good Track! Ricky Ric (BN4IA Radio Las Vegas) – Great stuff from JP Lantieri! George Marvel – Nice work, thanks! William Daniel (Tillate Magazine ) – Great tune!! Foster (Sub FM) – Sick rolling vibes!! Suzy Solar – great track!